D8-6 calipers mount in the stock location over stock rotors and use the original type D8 brake pads. These calipers fit inside 1967 and later production steel rally wheels and most of the later model alloy wheels. Original steel “JK” code wheels from 1965-66, and some aftermarket alloy replica wheels, will requires a 3/16” or thicker wheel spacer for clearance. D8-6 calipers use the same overall piston volume as the original calipers, but with the added benefit of differential bores. 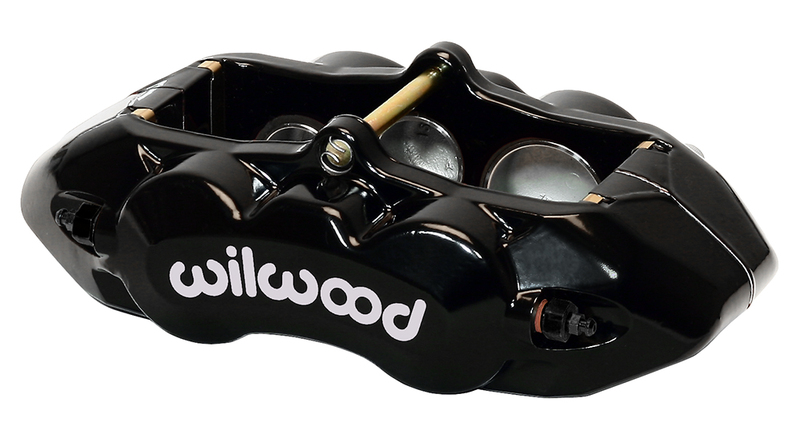 Differential bores counteract pad taper in high temperature racing and the 6 piston design offer greater pad support. Other than a new flexline with an 1/8”-27 NPT end for the new aluminum caliper, no other changes such as master cylinder output or front to rear bias adjustment are necessary. D8-6 calipers are the product of Wilwood’s in-house FEA design and 3-D modeling technology. With its unyielding strength and superior piston design, the D8-4 generates positive pedal response and high clamping efficiency with a substantial weight savings.